Cody Bobolz has been hired as the new 6-12 Principal at Shelby-Rising City Schools starting in the summer of 2019. Mr. Bobolz will replace Bill Curry who has accepted a position as Middle School Principal at Boone Central Schools. 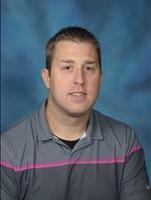 Mr. Bobolz holds a Masters Degree in Administration from the University of Nebraska at Kearney and has taught high school science at West Point-Beemer the last ten years while serving as a Head Boys Basketball and Golf Coach. His experience in school improvement, instructional technology, and PLC leadership will be valuable assets to the District. Mr. Bobolz and his wife Jennifer, a second grade teacher at West Point-Beemer, have two children - Kennedy (8 years old) and Hadley (4 years old).